Q How can I join the Red Dwarf fan club? 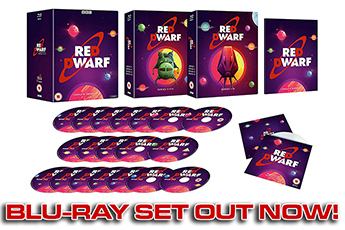 A Head on over to the Fan Club section of the site to find out more about The Official Red Dwarf Fan Club. Please note that the fan club is run by the fans on a voluntary basis so it may take them a while to get back to you if they get gazillions of enquiries! Q Is there a Red Dwarf convention? A In the UK, "Dimension Jump" conventions are held by the Fan Club every year or two. To find out more about upcoming events, see the TORDFC website. To read about past events, visit the Fan Club section of this site. Q I want to work on Red Dwarf! Have you got any jobs? A When Red Dwarf is in active production, industry professionals wishing to work on the show should contact Grant Naylor Productions via the appropriate channels. 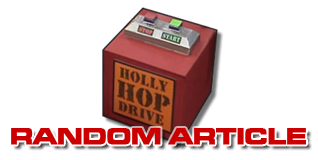 Q Can I send my Red Dwarf script, fan-fiction or art to Grant Naylor Productions for consideration? Q How can I keep up to date with the latest Red Dwarf news? A You're already here! 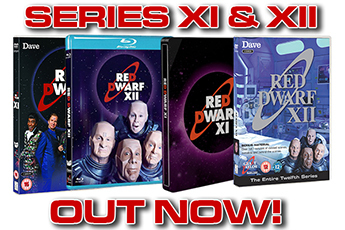 reddwarf.co.uk has updated at 11.30am every single Friday (and a few extra times) since its launch in 2000. We bring you the latest updates on anything and everything to do with the show (and its cast and crew), usually directly from the source! If you see something reported here on the site, then that's when you know it's official. You can also follow our official accounts on Twitter and Facebook, where we also bring you the most pertinent news as it happens - as well as trivia, memes, classic quotes, polls and plenty of other Red Dwarf chatter! Q How can I contact the cast? Chris Barrie is represented by Noel Gay Management. Craig Charles and Robert Llewellyn are represented by United Agents. Danny John-Jules is represented by The Neptune Agency. Several of the main cast of Red Dwarf are also active on social media, with Craig Charles, Robert Llewellyn, Danny John-Jules and Norman Lovett all maintaining active Twitter accounts. You can also find the show's co-creators Rob Grant and Doug Naylor on Twitter, along with a number of behind-the-scenes personnel and guest cast members. For a fuller list, please see our curated Twitter list. Chris Barrie does not use social media, so any account you see purporting to be him is not genuine. However, Chris does occasionally update his own homepage, and has an FAQ section of his own including discussion of Red Dwarf questions.